Discussion in 'The Lounge' started by Quo Fan, Apr 30, 2013. Met and wandered through these people's house yesterday. They had 2 (two) Steinways. An 8' Concert Grand, and a baby grand. I think the baby grand was slightly our of tune. Today is a quarry shot. Some jackass driving a semi rear ended me at an intersection yesterday. My folded up Thule T2 took most of the impact but it bent in and put a pretty good hit into my tailgate. A cop actually witnessed the accident but didn't think it was worthy of writing a ticket or accident report. This evening I have a beer 'n food pairing fund raising event for my wife's work to go to at the Genesee Brew House. Should be a decent time. wtf state do you live in? Tuesday and it's curtains down for April. I hope you are all alive when May comes around! I looked one of these and it was the heaviest bike I have ever seen at about 42 lbs. Howdy all. Today is my only day this work week of "real work", and it'll be two hours of that, tops, thanks. Send email to people thanking them for donating to our charity ride and reminding them to please consider donating if they haven't. Research what rimz I Do Want® and Can Has for my antiquated, plastic, 26-inch-wheeled, 150mm-travel mountain bike. Stick with DT Swiss? Sun Ringle? WTB? So many choices! Tires are good. Brakes, fair. Work on some stuff, for work, because working. Write some gear reviews for ActiveGearReview.com. Pay vehicle registration. This might wait until tomorrow. Ride bike before this next spring storm comes through. Weld stuff and grind things and fabricate whatnot on the race car. Sporadically eat food throughout the day. Have fun out there, monkeys. 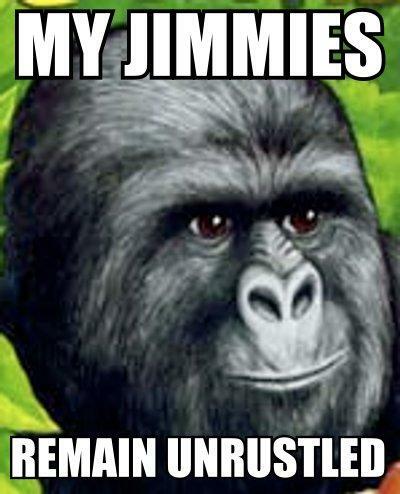 Try not to get your jimmies rustled. G'mornin folks. Got nothing accomplished that I had intended last night. Time to buckle down this evening and take care of business. I can't even begin to tell you how crazy yesterday was. Things in motion, I hope to be moved this weekend maybe, yay! CL for the win. So I went and rehearsed with the band Toshi recommended last night and had a blast! Ran into a kid I knew from college and my friend's mom who I grew up with!! It was great! Didn't get to meet Toshi's uncle yet, as he was not there, but turns out they need me for a performance next Monday so I will get to meet him and get the dirt then!! Went and had a beer with the college buddy before I headed home. All in all, it was a good night for teh ski bunny. Did not sleep much however, between some grumpiness when I got home, the child spilling his water cup all over the bed at 2, the dog throwing up at 3, and a neighbor's dog barking most of the wee hours of the morning. *yawn* please pass the coffee!! Also--Tomorrow is the start of bike to work month! I will ride 20 miles a day every work day, and will be one fine looking primate speciman by the end of the month--just in time to sit in a van for two weeks from AK to Seattle! woo hoo!!!! Up before the howler monkeys this morning. Currently in Huston, fingers crossed for the 1250 to Denver. I'm sure his insurance company will just take your word for it. So I went and rehearsed with the band Toshi recommended last night and had a blast! Ran into a kid I knew from college and my friend's mom who I grew up with!! It was great! Didn't get to meet Toshi's uncle yet, as he was not there, but turns out they need me for a performance next Monday so I will get to meet him and get the dirt then!! Awesome. He and his wife are out in NY, sightseeing and such. They visited me on Long Island and attended my concert this past Sunday, in fact. Returning from a 5-dayer in Moab. That place is such an overrated $hithole. More like south of Northern Virginia. Why people go there to "mountain bike" is beyond me. 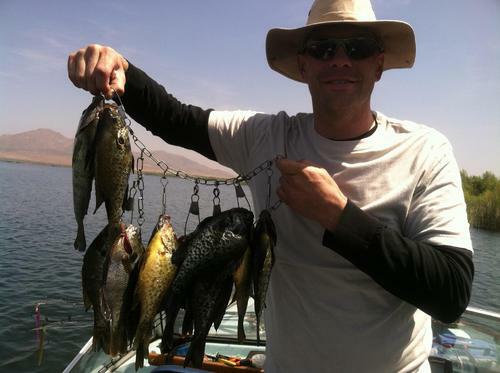 ...a bad day fishing beats a good day working.